It seems to be a FLIRC implementation issue. If i use my bluetooth keybord and / or a keyboard connected by USB, i can hold "left Win + enter" and the overlay menu pops up without a problem. My Fire TV Model is W87CUN. See photo attached. @dhubb you need full Fire TV version, not the Stick one. You can't connect Flirc (or any other USB device) to the Stick version. You can with a rooted device and USB OTG cable but that won't suite everyone! That makes sense now. I didn't realize there was different versions. Thank you. Now, where can I find the instructions to ROOT and connect FLIRC to USB OTG on Fire TV Stick? I'm not afraid to ROOT the device, just need some guidance on where to find this setup. Thank you! Thank you! That will get me started on rooting! Im having some major issues it seems. 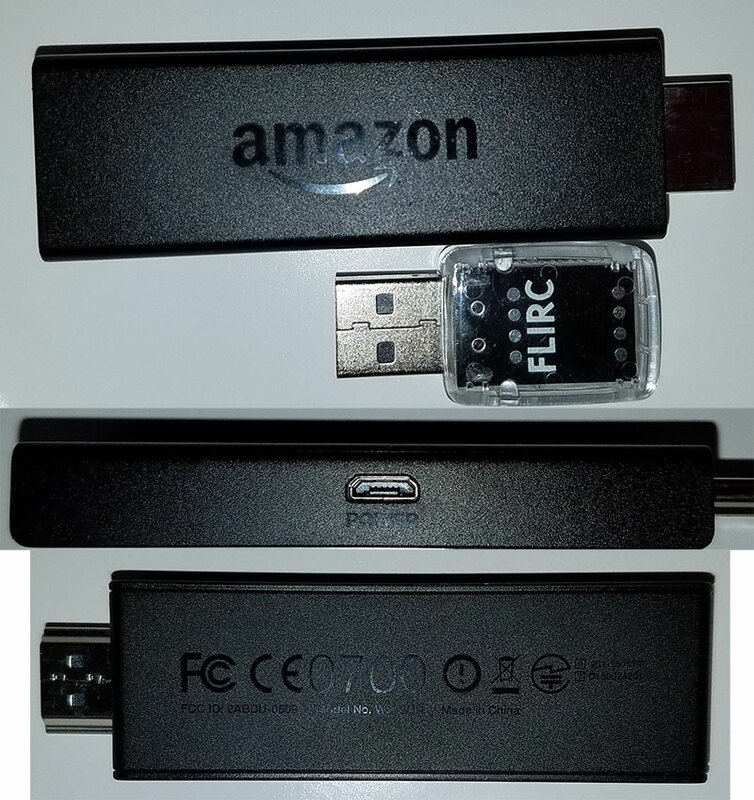 I ordered two flirc usb dongles to use with my two fire tv (1st gen). I plan on using them with two seperate harmony 650's. I set up my harmony with FLIRC, FireTV. All buttons are set. I go to the Flirc windows Gui, set it for Fire Tv and try and map my buttons and it recognizes they are all mapped. I plug the dongle into my fire tv, set my harmony remote to the fire tv setting, and nothing happens. ive tried with both dongles, different remotes, different devices and abolsutly nothing happens. I set up my brother in law's and had no issues. any help would be amazing. yep, exactly what i did. If you plug flirc in the computer and use your harmony, does it work in the pc? You did set "debugging" to "Off" in the FireTV, right? Pretty sure the FTV's USB port won't work with it set to "On." So has anyone found a way to use the home key? I'm on 3.8, and still when I press my mapped home key get recent apps rather than going home. I have tried mapping using the keyboard combination too, same happens. EDIT; Please ignore, double-tapping home button works! You can try erasing it and reprograming again as well. Can you link to the other article in your post please? I would still like to get this solved. When I set up FLIRC using the FireTV remote template, Netflix works fine, but in Kodi the select button brings up a menu and won't play selected files... So I plugged FLIRC back in to my PC, deleted the "select" button, and remapped it as Enter on the keyboard template... That got the select button working properly, but for some reason the play/pause button gets broken when I do that (in other videos apps too). I tried mapping the whole remote on the keyboard template, but there doesn't seem to be a keyboard shortcut for play/pause? (in kodi, the spacebar can be used, but spacebar doesn't work anywhere else on the FireTV). Ideally and simply, I want the remote mapped out to do exactly what the FireTV remote does... but in Kodi the select button isn't doing "select" - it brings up a context menu, when the FireTV remote "select" button works as expected. I even tried using the "Keymap Editor" on Kodi - but it doesn't recognise when I press "select" on my IR remote (when flirc is programmed from the fireTV flirc template ). Can anyone offer some help? - I assumed using Kodi on the FireTV was quite common, but I don't see anyone else on the forum reporting this issue? EDIT: this page https://www.amazon.co.uk/gp/help/customer/display.html/ref=hp_left_v4_sib?ie=UTF8&nodeId=201740040 says Space should play/pause, but it doesn't do anything in any video apps (I tried Netflix, RedBullTV and BBC iPlayer) apart from Kodi. EDIT: On further experimentation, my Logitech K270 keyboard has a few media buttons along the top - the play/pause button works on this... can the flirc not replicate this button? Hello. I'm new to the forum. I read this whole thread and didn't find a solution so I'm hoping that someone can provide me some guidance. Just got a FireTV box V2, a Flirc USB V2, and Playstation VUE in order to cut the "Cable TV Cord". So far I'm very happy with everything, but as usual with a new setup there a few "wrinkles to iron out". I'm using a Logitech Harmony One 550 remote. I've downloaded the lastest Flirc GUI which upgraded the Flirc USB to the latest firmware (I don't remember the exact version number but can provide it if necessary). The problem that I'm having is that the left and right keys are VERY slow. It takes ~3 secs. each time I press the key. Also these keys don't auto repeat if I hold the key down. The remote lights up for the full 3 secs. so I believe that the remote is transmitting for the full time. All the other FireTV keys (up, down, etc.) 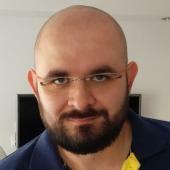 are instantaneousl (< 1 sec.) and auto repeat. I'm tried setting up the 550 in MyHarmony as a Media Center PC, Flirc, Model FireTV and Model XBMC and have the same problem with both configurations. I've tried adjusting the timing setting (inter key delay and duplicate key timingin) in MyHarmony but it didn't fix/change the problem. I haven't tried changing the delay in the Flirc GUI. This a follow up to my problem. I tried using a Harmony 650 with the same setup and it fixed the 3 sec. delay/no auto repeat problem for the left/right keys. To setup the 550 you have to use the Logitech Harmony Remote Setup software instead of the MyHarmony website. I was wondering if there is a possible inconsistency for the Flirc between the two software configuration programs. I like the 550 because it has the sound and picture setup keys and has sequences, which was originally not available on the 650, but I see Logitech has added sequences for the 650. The only remaining problem that I have is with the Menu key. I use Playstation VUE with displays a mini menu on a long Menu key press (> 1 sec). The mini menu provides last channel, TV guide, search, and explore options. I'm assuming that the FireTV remote sends a key down and key up for the long key press. Does anyone know what is the key sequence FireTV uses for the Menu key. I tried hooking up a keyboard and tried all the keys but none of them brought up the menu. I believe that this forum said that F12 should bring up the menu but it didn't work for me. Also could I use the Flirc record_api interface to specify a key down/key up designation? If I could, I should be able to create a Logitech sequence to duplicate a long Menu key press. I also saw that long key presses are supposed to be coming soon. Any idea if this would solve my problem and how long is soon?